A Steampunk General Costume including a Jacket, Shirt with attached Waistcoat, and Ascot Tie – Ideal for a Steampunk theme, or any fancy dress occasion! Look like a boss with this fantastic Steampunk General Costume. This stunning Steampunk General Costume comes complete including a Jacket, Shirt with attached Waistcoat, and Ascot Tie. 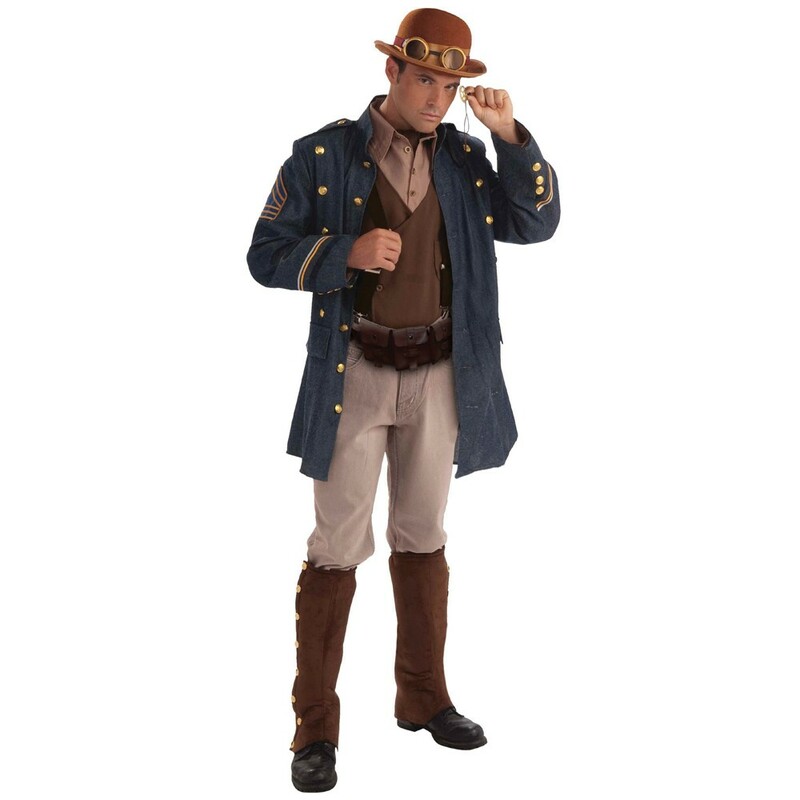 The blue long sleeve Jacket features decorative stitching around the sleeve cuff, pockets, epaulettes and multiple gold button details which will be sure to make this Steampunk General Costume stand out. The brown Shirt features an attached Waistcoat to complete this stunning steampunk look. All you need is the Ascot Tie to complete this Steampunk General Costume. Perfect for a Steampunk theme, a Comic book theme, TV & Film, or any fancy dress occasion, this Steampunk General Costume will be sure to impress no matter what the occasion! Size guidelines: to fit approximately up to a 44” Chest. A Steampunk Vicky Costume including a Jacket, Shirt with attached Waistcoat, and Ascot Tie.